According to Digital Information World, ‘Social media is where video is growing the fastest, with 500 million people watching Facebook videos every day.’ That is a LOT of eyeballs which have the ability to see your very own videos! 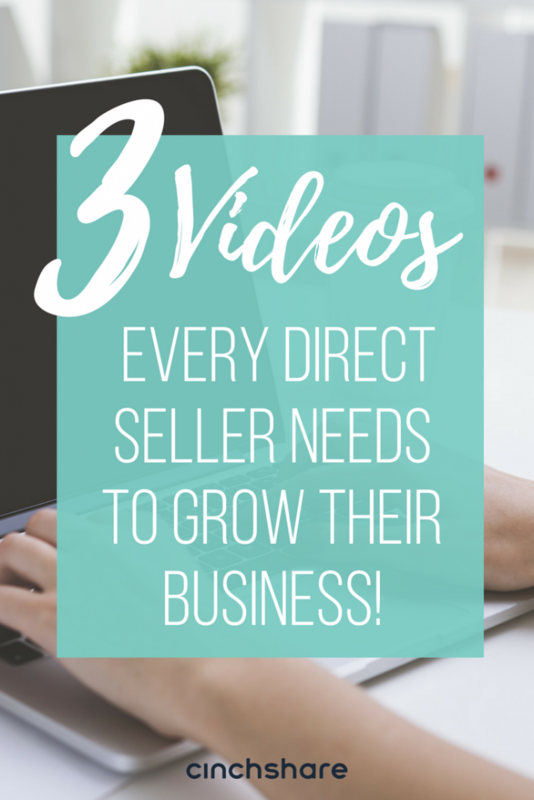 Laurie Girardi, founder of directselling.me and The National Direct Selling Registry, shares the three videos every direct seller needs to make for marketing their business. Read on to see what they are! Laurie says, “Take a minute to think about how many minutes (or hours) of video you’ve watched on Facebook or YouTube this week. It’s likely that you’ve found yourself scrolling through your Facebook feed and a video or two have caught your eye causing you to stop and take a few minutes (or hours) to watch. Video gets and keeps people’s attention! Video has become one of the most powerful social media tools you have for serving, communicating and engaging with your friends, customers and community on Facebook and other platforms. 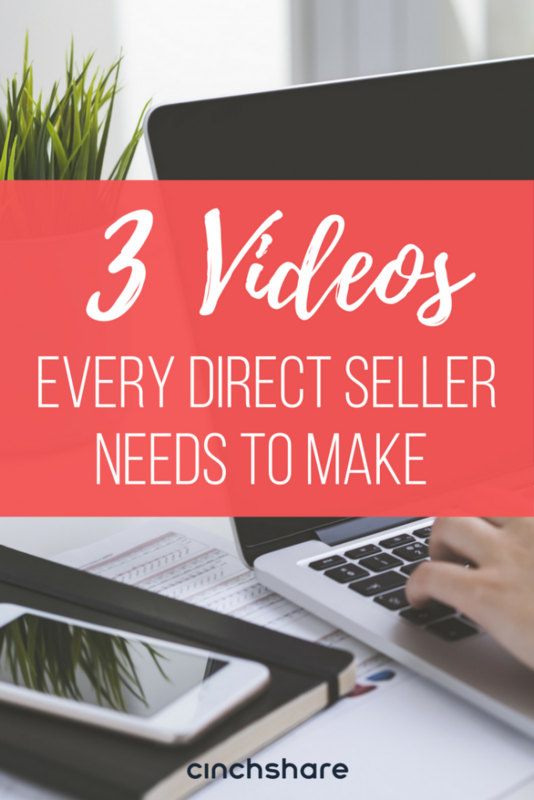 As a direct seller, it’s vital for you to embrace the use of video as one of the ways you have to make a deeper connection with people online. Video brings YOU to life on people’s mobile devices and computers. It helps you share your story, what you’re most passionate about in a way that was once only possible if you were face-to-face. Getting started with using video as part of your social media plan for your business can be a daunting task. It can feel overwhelming. 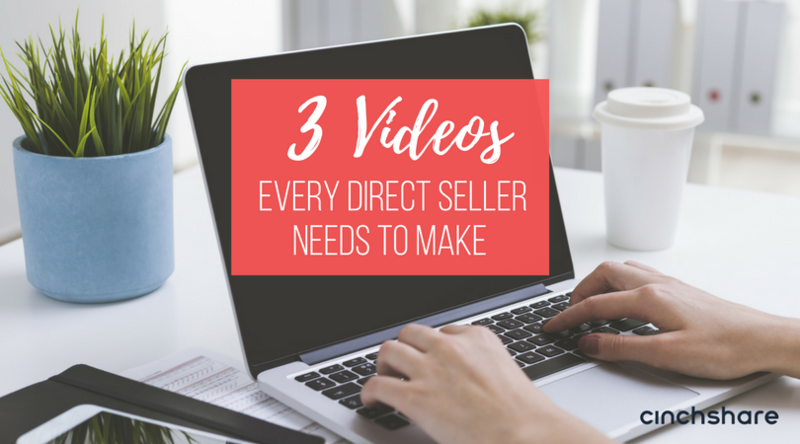 As I imagined myself just getting started with using video as part of a marketing strategy if I were back in the field, 3 powerful videos emerged as the ones I believe every direct seller needs to make. After you make these three, you decide if you want to make more … but make these and share them in social media to generate interest, get people’s attention and inspire them to take action! What was your life like before you began your journey with direct selling? What piqued your curiosity and made you want to learn a little bit more about direct selling or the business opportunity? What are you MOST excited about regarding your business today? Describe YOUR journey from the beginning to now in a few sentences. What are you MOST excited about for the future of your business? As you jot down your answers to the questions, you’ll begin to form the content for your MY WHY or MY STORY video. I recommend taking time to do this at least twice per year as your vision and journey evolve. Keep the video short, just a couple minutes, to make sure people take the time to watch it. Your goal is to get them to want to learn more about you, not know the whole story. Share your video in Facebook, Youtube, Pinterest, and on your National Direct Selling Registry profile. Then, as you meet people who want to learn more about doing what you do, send a quick link in a text message or FB message to help them learn more about you. One of the best ways to show your excitement for what you do and why you do it is through your products! Products bring people together in powerful ways. Products help create a community around your business as your customers rally around the mission behind the products, the fun of the products, the solutions products provide and so much more. I recommend you think about videos that highlight products as fitting into one of three categories – videos that INSPIRE, INSTRUCT or INFORM. Creating a seasonal product video (or a whole series once the video bug bites you!) gives you something to share with your current customers, hosts and team members, and it gives you a magnet to attract new ones! The possibilities are endless when you think about the products you sell, the solutions they provide and the value they bring to your customers. At the end of each video, be sure to include a call-to-action so the person watching knows what you want them to do next! When you share your videos to FB or YouTube, always remember that you can grab the embed code and plunk the video into a blog post or other web page to create a whole post around the topic in your video – just like we’ve done here! People are always thinking about joining you in your business, even if you don’t know it! That’s one of the reasons why having a robust online presence is so important – people are researching about you, your company and your products all the time. They’re curious and when you give them a few videos to explore when they’re not yet ready to chat with you – or when they’re trying to convince themselves that they should just “go for it,” you help keep them attached to YOU! 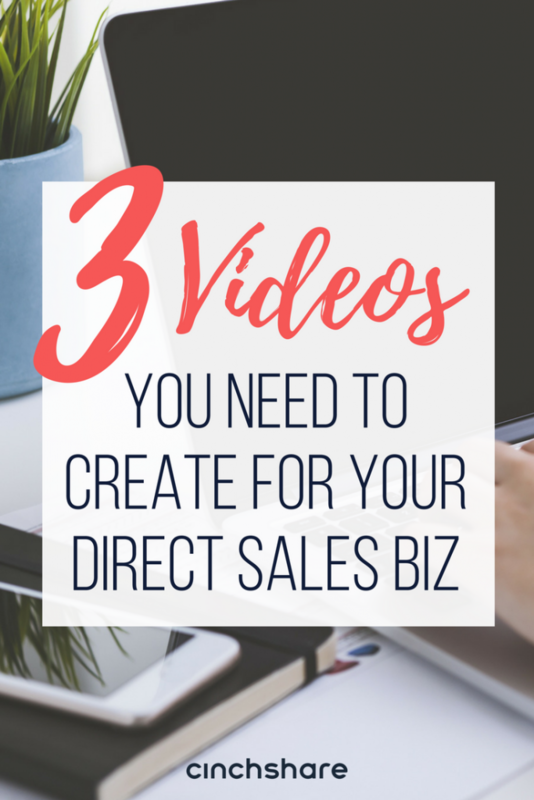 The third video I believe every direct seller needs to create is a short, 3-Minute Opportunity Meeting. This video serves as a tool you can share & post to get the attention of people who are exploring your business opportunity actively OR passively. It’s a cousin to your my WHY or MY STORY video, but focused on getting the watcher to imagine themselves on their own journey with your company. What first drew you into your business? How did it feel when you were just getting started? How has your business affected your life and your family’s life? What is your vision for your business into the future? What are the most common questions people ask about your business opportunity? When you start with your story, then illuminate how your life has changed because of joining the business, you help the person watching overcome their own worries. Then, as you look toward the future, you instill a sense of belief and hope for their own future. And, finally when you mention a few of the things “most” people wonder, you not only help them through any questions they have, but you also project a picture of a whole community of people who will be on the journey with them. We hope you learned a lot and plan to put Laurie’s awesome tips into action! Don’t forget that you can use CinchShare’s Links feature to schedule your videos wherever you’d like! Please share this blog post with your teams so you can all create your own videos to explode your biz! What is the 80/20 Rule for Social Media Marketing?